For over thirty two years, Attorney Bruce Bierhans has provided personalized and high-quality legal representation for individuals who have been injured as a result of personal injury, medical malpractice or motor vehicle accidents. He has also successfully litigated and tried cases in all areas of business law, real estate litigation, complex divorce and probate litigation, and criminal law. The Law Offices of Bruce A. Bierhans, LLC has an impressive record of success in all aspects of personal injury litigation, including wrongful death cases; will contests, divorce litigation, broker/dealer cases, non-compete litigation, nursing home litigation, elder abuse/scam litigation, and securities litigation. Clients of the Law Offices of Bruce A. Bierhans, LLC from Cape Cod, Boston, Hyannis, Wellfleet, Stoughton, the South Shore, the North Shore and in other parts of the country, praise the firm for its personal touch, responsiveness and dedication to clients, thoroughness, attention to detail, and the ability to win the toughest and most complicated cases. Our firm has a national practice and has litigated cases in many states other than Massachusetts. Attorney Bierhans has had an AV rating from Martindale-Hubbell for 18 years, the highest preeminent rating available. Attorney Bruce Bierhans of the Law Offices of Bruce A. Bierhans, has negotiated and settled hundreds of cases over the past 32 years. His courtroom skills and expertise at arbitration have won praise from clients, fellow attorneys and judges. Always diligent, thoroughly prepared as well as compassionate and understanding, Bierhans and his fellow attorneys are ready to take on the simplest to most complex of claims. The firm has also successfully handled firearms, pharmaceutical, medical device litigation, medical negligence litigation, employment litigation, computer and technology litigation, general negligence cases, motor vehicle accidents, product liability litigation, and wrongful death cases. The firm also has extensive experience representing individuals that have been injured in cases involving premises liability, brain injuries resulting from accidents, construction site accidents, sexual assaults, severe dog bites and a multitude of other claims. "As a result of my upbringing, my orientation has always been for the little guy. I've always been ready to champion a good cause," says Bierhans. "I take cases because I feel empathy for the people involved." Few firms in Massachusetts have such a breadth of knowledge when dealing with civil and criminal matters as well. The in house and outside consulting staff of the firm includes nurses that conduct preliminary reviews of the medical issues involved in many of our cases, including our medical negligence, motor vehicle and pharmaceutical cases" In the summer of 2001, Bierhans and a former partner were in the forefront of medical negligence litigation involving hemophiliac William Modestino, Jr. who had become infected by the HIV virus due to their use of infected factor concentrate blood products. Bill, Jr. died in 1993. Against all odds, in what many of his colleagues told him was an "impossible win", Bierhans successfully argued the case in Worcester (MA) County. Seven years after he had first met the Modestino family, a jury finally found at least one of the doctors who treated William Modestino, Jr. guilty of "failing to fully inform" Modestino of the risks of using untreated blood clotting factor. The jury also determined that they did not "adequately treat him" for AIDS. For more than 32 years, Attorney Bruce A. Bierhans has been winning cases and client confidence. Today, Bierhans and his staff at the Law Offices of Bruce A. Bierhans, LLC provide clients with the highest quality of personalized and responsive legal services. Bruce graduated from Suffolk Law School in 1982. While attending Law School at night, he worked as a senior aide in the Massachusetts Senate. Upon graduation, he began a trial practice in Canton, Massachusetts, and moved his practice to Boston in 1985. He remained in Boston until 1997, at which time he decided to return to the suburbs due to his desire to create a suburban firm that would give his business and litigation clients the same quality of legal service that they could obtain in the city, at a more reasonable cost. The firm has grown steadily since that time. 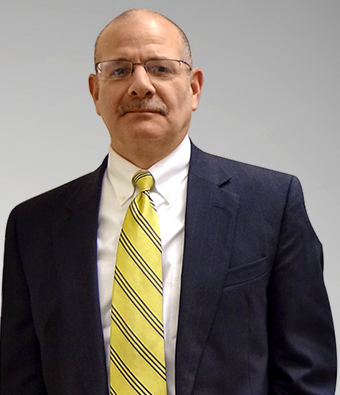 In the past thirty two years, Bruce has successfully tried cases in the areas of business law, criminal law, and all aspects of personal injury law including products liability, medical malpractice and general negligence. Many of his business and non profit clients have been with him for most of his thirty two years in practice. He prides himself on taking on challenges that other lawyers have turned down. He has fought, and continues to fight for "the little guy", whether it be an individual or business, or non profit organization. He has lectured nationally, to lawyers and physicians, on matters related to trial practice and has maintained an AV rating from Martindale-Hubbell for over 18 years; the highest rating available for both skill and legal ethics. He is listed in the Martindale-Hubbell Bar Register for Preeminent Lawyers. Bruce and his wife Nancy, who is the firm's Office Administrator, satisfy their love of the ocean by residing in Wellfleet, Mass. Bruce is involved extensively in local charitable and non-profit organizations. He is on the boards of Wellfleet Preservation Hall and The Arts Foundation of Cape Cod, is past President of the Payomet Performing Arts Center, is past President and Chairman of Outer Cape Health Services, and is past President of the Wellfleet Harbor Actors Theater (WHAT). He proudly served as Town Moderator in Wellfleet for two years. Bruce is currently the Regional Govenor for Cape Cod & the Islands for the Massachusetts Academy of Trial Attorneys (MATA). 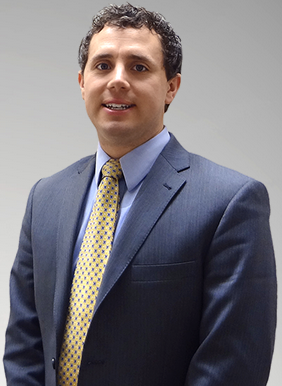 Anthony J. Mazzeo is an Associate practicing in the Hyannis office of the Law Offices of Bruce A. Bierhans, LLC. Anthony's practice areas include business, estate, litigation, real estate, personal injury, and family law. Anthony received his Juris Doctorate from Suffolk University Law School in 2011 where he graduated with a concentration in Business Law and Financial Services. Anthony served as the primary Law Clerk at the Barnstable District Court in 2009. As an undergraduate at St. Mary's College of Maryland, he interned for the Maryland Office of the Public Defender, and in 2006 graduated with a Bachelor of Arts in Political Science. Anthony grew up on Cape Cod, graduated from Barnstable High School, and enjoys growing his practice in the community. 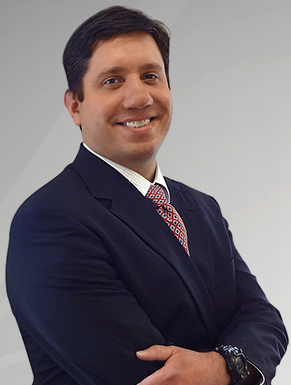 Since joining the firm in 2013, Matt has been heavily involved in our civil litigation practice. Before that, Matt spent ten years handling a number of civil lawsuits in state and federal courts across Pennsylvania and New York, both at the trial court and appeals court levels, including wrongful death, bridge design, roadway design, property design and maintenance, products liability, motor vehicle accident, civil rights, commercial contract, construction, and pollution suits. Prior to that, Matt practiced in Dallas, Texas with the law firm of Sidley & Austin, and later Fulbright & Jaworski. Matt graduated from the University of Notre Dame with a Bachelor of Science in Electrical Engineering, and the University of Texas School of Law, with honors. Melissa has an extensive retail management background both in Florida and Massachusetts. She first became interested in the legal field while working for a consulting firm in Florida. After returning to Massachusetts, she started with our firm in 2012 while obtaining her Paralegal Certificate at Cape Cod Community College. 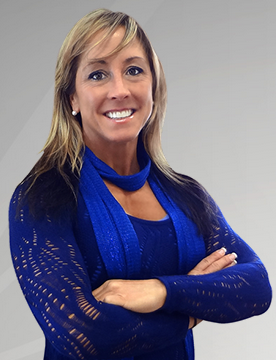 In addition to her commitment to the Bierlaw team, she is an active mother of two sons and a fitness competitor.